A great eye you have. People usually miss out such minute displays of nature and very well captured too. very nice composition. You did a very interesting and in the same time delicate photo. It is great that you have been able to spot this tiny but full of potential subject. Nice way the light is reflected by the water drop. Great color combination and good glear image with DOF suited with the subject. Great composition, and very good detail on the sporofit! Tr�s belle composition. Excellente nettet� de cette goutte. Superbes lumi�re et couleurs. Wonderful shot and a very artistic presentation. The focus on the water drop is spot-on and you have captured some minute details. Very neat and sharp image with perfect lighting and exposure. Excellent POV and very nicely composed. Kudos. Bonjour Antoine, quelle belle macro! Composition tr�s artistique et superbe technique, bravo et merci! Tu fais un tabac avec ton nouvel objectif et c'est justifi� tant cette photo est superbe : bravo ! ET DE TES VACANCES QUE VAS-TU NOUS RAPPORTER ? 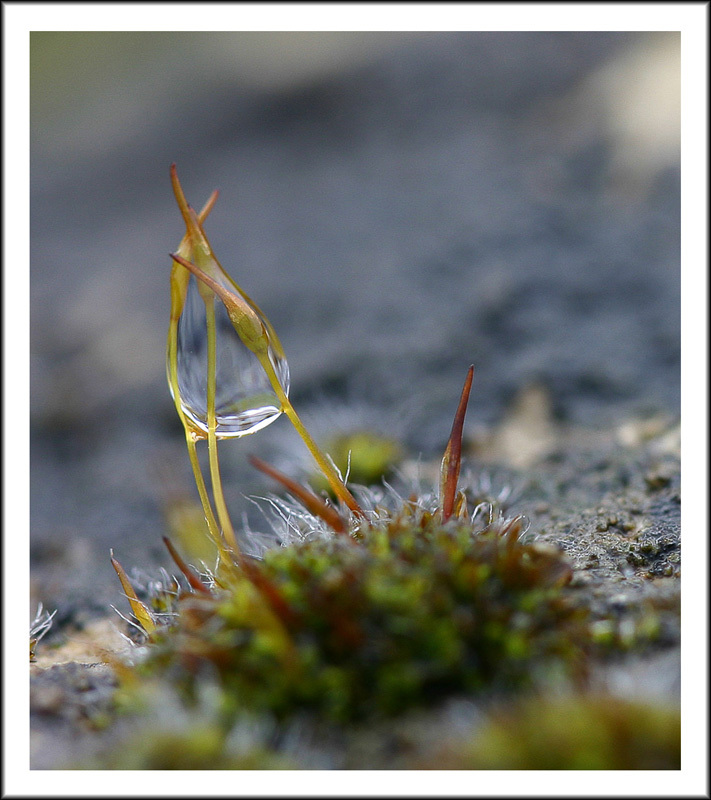 Hello Antoine , A very beautifull shot great waterdrop , good pov dof colours sharpnes ,tfs ,Greetings Teunie .